December has arrived! 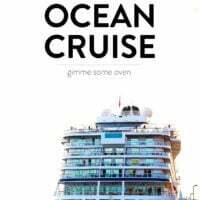 And with it — holiday giveaway season on the Gimme Some blogs! That’s right! All 5 Gimme Some blogs (Film, Life, Oven, Reads, Style) are going to be hosting some rockin’ giveaways each Monday this month. So be sure to visit all of the other blogs today to enter, and check back each week for more great holiday gift ideas and giveaways. Here at OVEN, we will be focusing on one different kind of foodie each week. Today, we begin with “The Cook”, and our amazing sponsors are going to be giving away over $850 in prizes to 5 lucky winners! 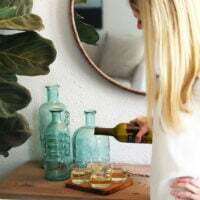 We are featuring everything from gourmet cookware, to a state-of-the-art chef knife, to a little homemade kitchen decor, to a choose-your-own-state cutting board holiday gift set, to some of my favorite olive oils. You definitely don’t want to miss this one. So read below to learn more about these great products, and enter for a chance to win! 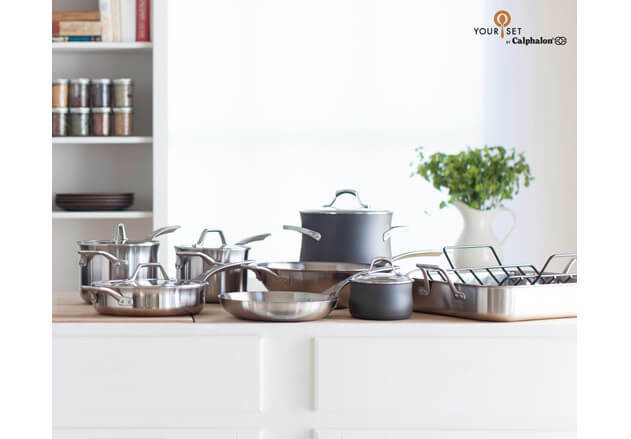 I am completely excited about a new program that Calphalon is now offering called Your Set, where you get the option to mix and match your favorite cookware to create a custom set! Whether you like to cook with nonstick or stainless steel, this program gives you the option to customize your perfect set. You simply choose the base set that is right for you, and then add the additional pieces you would like from Calphalon’s AccuCore and Unison lines. You will love both of these options. AccuCore is a beautiful new stainless steel cookware line with five layers, including a copper core for controlled, even heating. And then Unison is a fantastic nonstick cookware line that releases food easily and seal in juices and flavor. Both lines are dishwasher safe, and made with the high-quality Calphalon care that I so respect and enjoy as a cook! 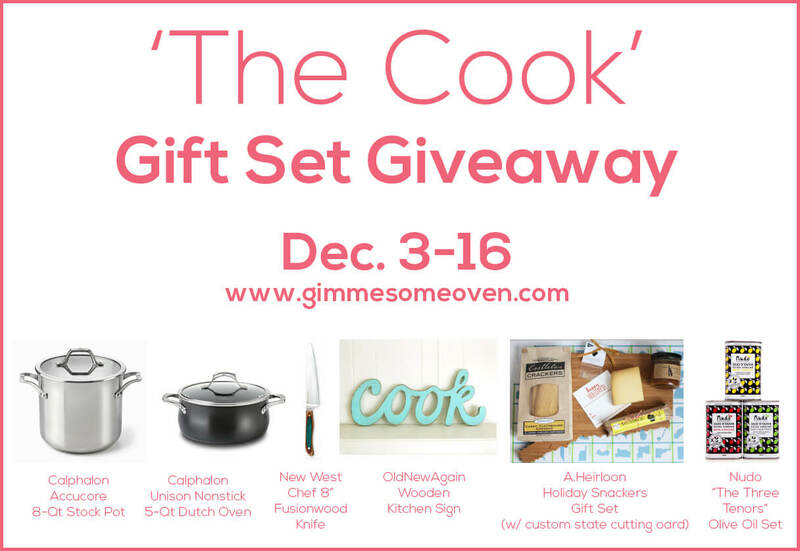 So I am thrilled that one reader from Gimme Some Oven will be winning two of my favorites — a Calphalon AccuCore 8-Qt Stockpot and a Calphalon Unison Nonstick 5-Qt Dutch Oven. You will adore both! 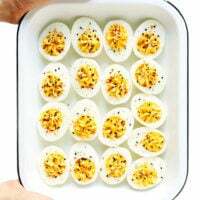 Be sure to read more about the Your Set option here on the website, watch some of their VYou videos (recently with Chef Michael Symon! 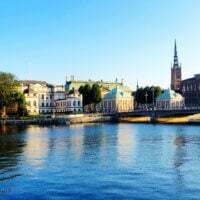 ), and then connect with Calphalon on Facebook, Twitter, YouTube, Pinterest and Instagram. This gorgeous New West Knifeworks Fusionwood 2.0 8-inch chef knife is going to be going home with one very lucky reader. It was “deliberately designed for folks who find a traditional 8 inch chef cumbersome or intimidating. The graceful blade shape, tapered tang and super thin blade grind makes this nimble knife come alive in your hand.” And in addition to being made with the high quality and beautiful design that has made New West a favorite with chefs and home cooks (and food bloggers! ), I love that New West is known for making the greenest knives you can buy, since they are made in the USA in their factory that is completely run on hydro power generated on-site. Pretty sweet! 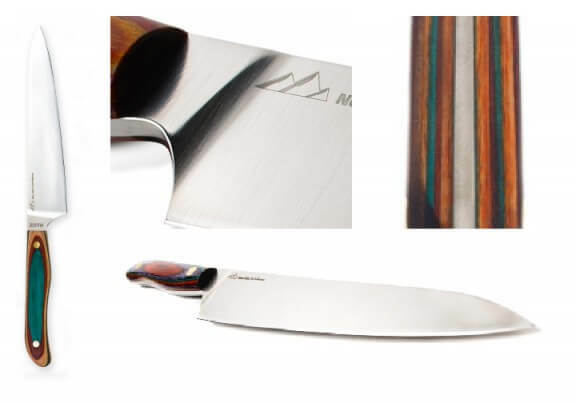 Be sure to also check out your chance to win a 4-piece knife set on New West Knifeworks’ Facebook Holiday Giveaway. And then also be sure to connect with them on their website, Facebook and Twitter! And also enter the Calphalon giveaway this week from my friend Julie at Table For Two! Calling all foodies who would love to show a little state pride! One reader is going to be winning a Holiday Snackers Gift Set of their own from A.Heirloom – the brilliant homemade company behind these state-shaped cutting boards! It doesn’t matter whether you live in the Colorado or Hawaii – there is literally a state-shaped cutting board for all 50 states! And A.Heirloom will inlay 1 limited edition brass heart or house in the location of your favorite town. So cool! And even better, the 3/4-inch butcher block is made from 100% rapidly renewable beautiful bamboo, so you can feel good about chopping your favorite veggies on this “green” board. The winner will also receive some of the extra goodies that come in the holiday gift set (which is a perfect idea for a foodie gift this holiday season). The set includes: 1/4 lb. of clothbound cabot cheddar, 1 bag of Whitney’s Castetlon crackers, 1 (8 oz )jar Of Sweet Deliverance NYC’s Apple Chili Raisin Chutney, 1 (2 oz) Saucisson Sec from Madison Wisconsin’s Underground Meats, and 1 letterpress giftcard. So be sure to check out A.Heirloom on their website, Facebook, Twitter and Pinterest. I keep seeing this adorable “COOK” wooden original-sized kitchen sign pop up on Etsy from OldNewAgain, and absolutely adore it every time. So I am stoked that now one lucky reader will soon have an adorable sign of their own! And you even get to choose which color you would like!! I love this vintage-looking light turquoise, but they have 26 (!!) super-cute colors that you can choose from to perfectly match your home. And there is a hanger on the back, so you can hang it, set it, prop it…whatever sounds good. But mostly, I know that you will just love it! So be sure to check out OldNewAgain’s Etsy shop, where they also sell many other similar wooden word signs and letters, as well as wall vases, wall hooks, wedding decor, wood jewelry, and more. Also connect with them on Facebook and Twitter. 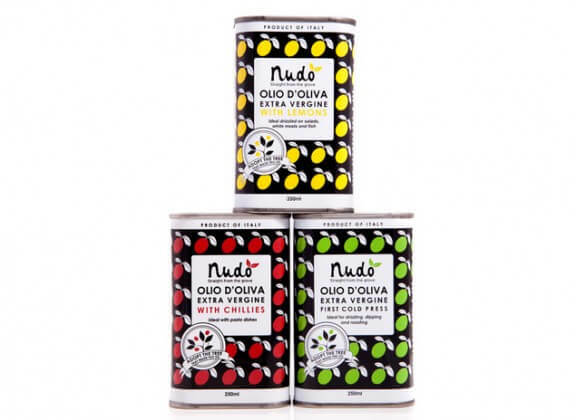 I have long been a fan of Nudo and their amazing olive oils “straight from the grove”. 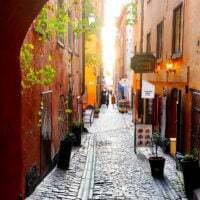 From giving people like you and me the option to adopt an olive tree, to offering a beautiful array of gourmet olive oils, condiments, antipasti and pasta on their website, Nudo’s love for simple and natural foods has always earned my respect and praise. And their olive oil is my absolute favorite, so I am excited that one winner will soon be receiving one of their top gift sets — “The Three Tenors“. As Nudo says, “this trio of Nudo olive oils takes you on a miniature tour of Italy. From our fiery southern chilli-infused oil to the seaside breeze of our stone ground lemon oil, to the mountains and the calm of Nudo’s prized extra virgin olive oil. 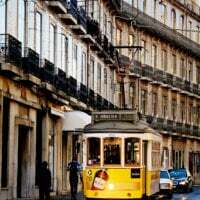 It’s a whole trip to Italy, minus the carbon emissions.” You will love it! 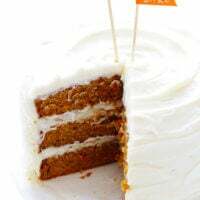 So be sure to check out the many gift options this holiday season on Nudo’s website, and connect with them on Facebook, Twitter and Pinterest. To enter the giveaway, follow the instructions in the Rafflcopter widget above just below the pagebreak. Disclaimer: All giveaways have been provided by each of the brands listed. I was in no way compensated to host these giveaways, and all opinions are my own as always. 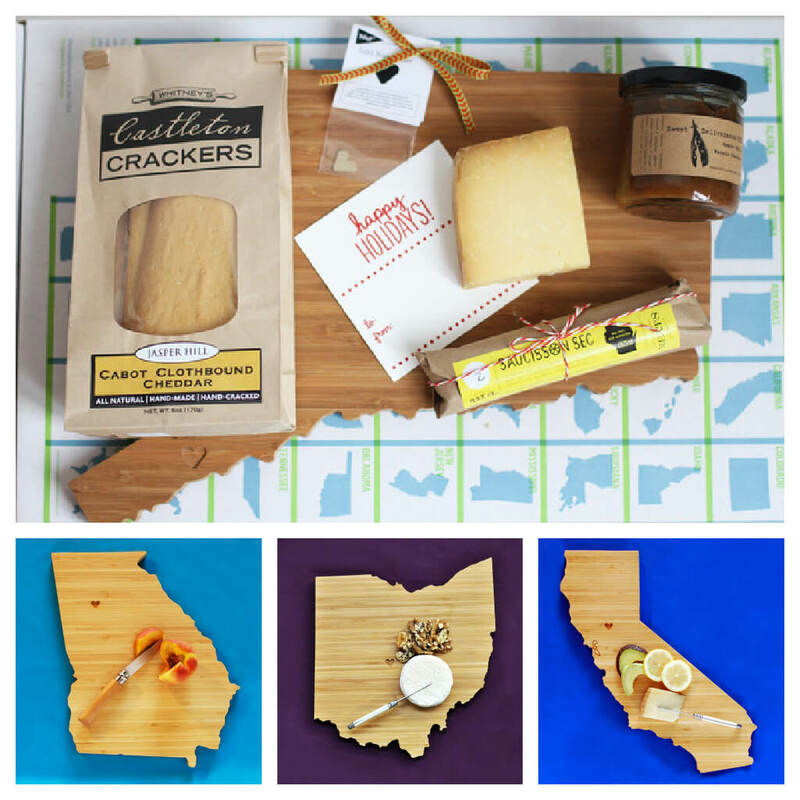 the snackers set would make an awesome gift–love the custom cutting board idea! The dutch oven would be great for a recent grad! The olive oil would make a great hostess gift! I would love to give the holiday snackers gift set as a gift!! Oh my! Those state cutting boards are too much… I’d love to give one of those away… love it! Those are some great gifts! I would especially love a knife set…good knives make chopping so much easier! I would love the dutch oven… my sister just got married and this would make a great gift! Love it all but that “cook” sign is so adorable! I would love the state cutting board set to give as a gift. I have lots of relatives who have moved away who still love their home state! Ooh, I love that chef knife. They’re all great gifts, but that’s my favorite! that A.Heirloom Holiday Snackers Gift Set is just adorable!! I would love to give the Knife to my mom for Christmas because I have been using her knives to cook and they are mediocre at best! That dutch oven would be awesome! I have been wanting to get a Dutch oven! What a fantastic giveaway. LOVE the state cutting boards! What a fun gift idea! Oh my goodness, so hard to choose! I would probably go with the knife set, but would love to win any of these! What an awesome giveaway! I’m not sure I could even pick a favorite item. I need a new chef knife badly But if I had to give it as a gift I know my mom could really use a new calphalon dutch oven!!! They are all such good gift option though! I would love the Dutch Oven! 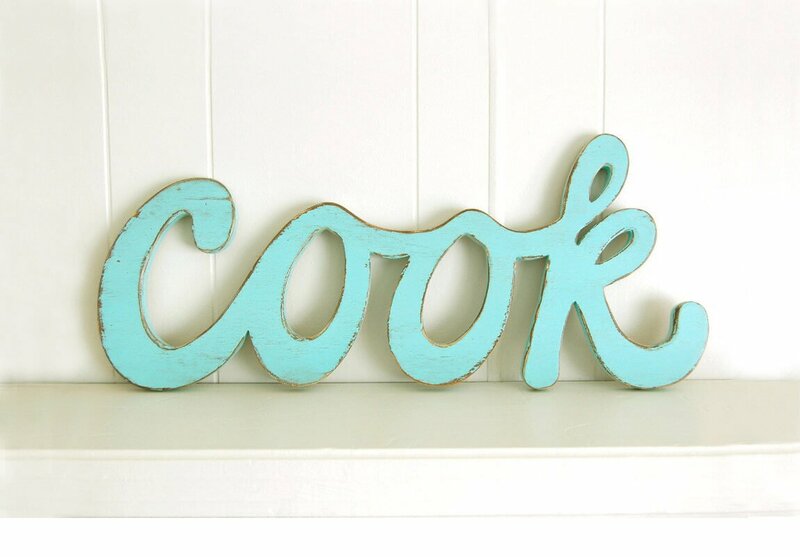 I would love to give (or get) the cook sign as a gift! I would love to giveaway the state-shaped cutting board! I would love to gift the stockpot! My mom could really use a new one! What a neat giveaway! :D THANK YOU!!!! This is awesome! I’d be happy to win any of the prizes! I would give the Calphalon Dutch oven to my parents. What a great giveaway..so many wonderful products! I love the ‘cook’ sign! I think the snackers is a great gift to give! I would love to give the dutch oven to my mom. What an amazing giveaway! All of these gifts are so fantastic that it would be hard to choose, but I think I’d give my mom the dutch oven. I know she would love it! The stock pot would be perfect for my aunt who always hosts big groups for dinner! I would love the chef’s knife. My husband and I cook all the time and make just about everything from scratch. And we do it with crappy knives! It would be so wonderful to have a nice tool like that knife to make our home cooking more quick and efficient. What a wonderful giveaway!!! I think it would be fun to put the olive oils in different jars and give as a hostess gift with some crusty bread and vinegar! I love, love that “cook” sign! But no one would ever turn down a good knife!!! A good knife is a great tool for the kitchen! What I would do for that that beautiful knife. Also, the A.Heirloom California shaped cutting board? To die for. I’d be torn. I need both new pots and a sharper knife! This would be so nice to win as my husband trashed all my pans by washing them in the dishwasher. I would love to add a dutch oven to my kitchen collection! a great knife would bring my kitchen to another level! I would love to give my mom some new knives. I think she’s been using the same one since 1967.
um . this giveaway is downright fantastic . I would love any of the prizes, especially the chef knife! Who couldn’t love this giveaway! 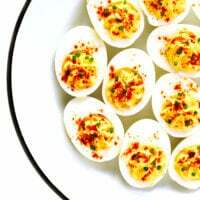 What cute items and I am just loving all these great recipes and what better way to enjoy them by using new cooking utensils! A.Heirloom Holiday Snackers Gift Set would be a fun gift to give! Cause most everyone loves cheese and what better way to share it then with a cute set! I know wo many people who love olive oil so that would be the perfect gift for me to give. The pans, my friend loves to cook!